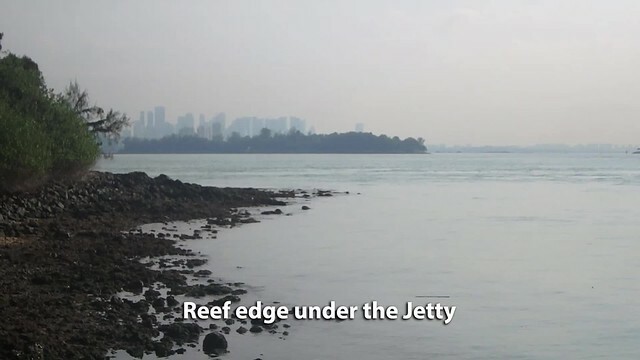 wild shores of singapore: Small Sisters Island with cone snail! 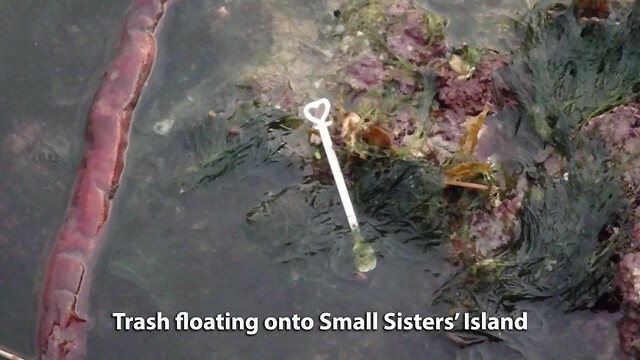 Small Sisters Island with cone snail! With most of the Southern Islands closed due to asbestos, we were glad to be given permission to survey Small Sisters Islands. It's very much alive and we saw interesting animals such as cone snails, feather stars as well as corals of various kinds. After our trip, we learned that asbestos was found on Big Sisters' Island too. While the rest of the team were at the big lagoon, I started at the small lagoon. The rocky reef flat is dominated by Blue coral and sponges of various kinds. 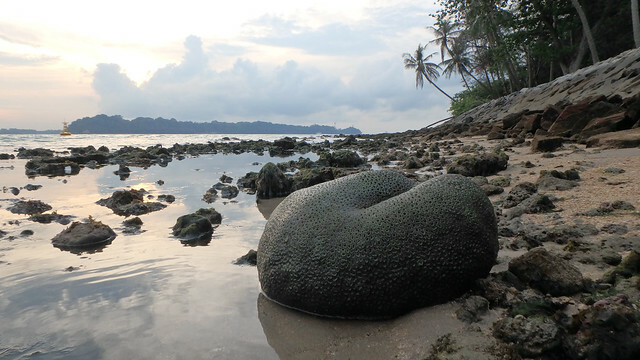 This island doesn't have a lot of corals. But there are some nice big colonies here. 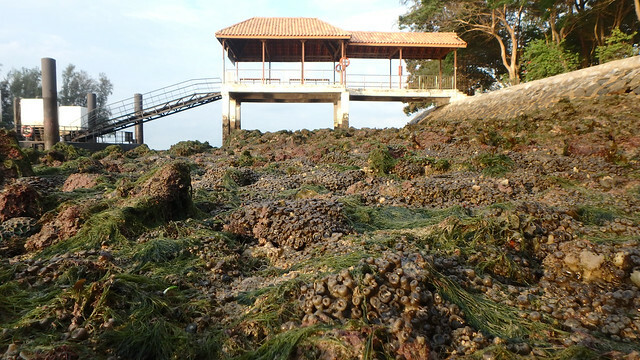 The area under the jetty is particularly rich though. Abel found a cone snail! Here's a video of it turning around. Its wonderful pattern was not obvious on the upperside. I used my walking stick to gently turn the snail over. 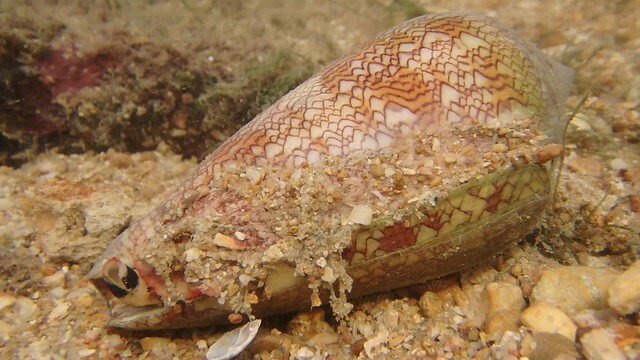 You should never touch a cone snail as some can inject a toxin powerful enough to kill a human. 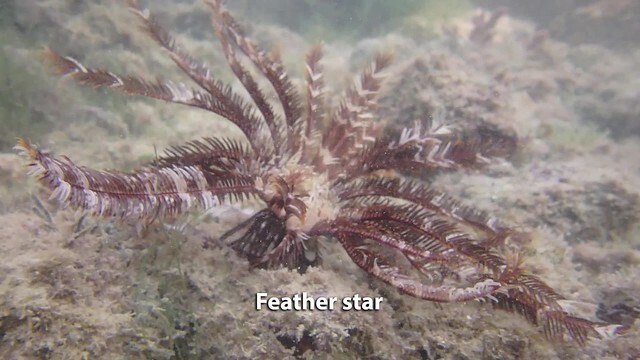 There were also many feather stars. These animals can 'walk' using their very flexible feathery arms. There were also many Long black sea cucumbers. 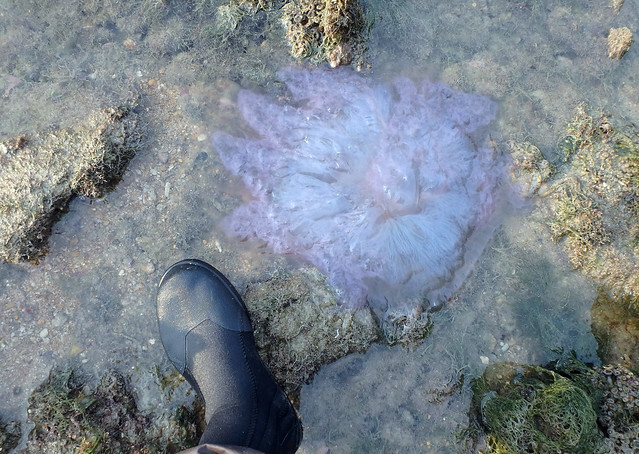 I saw a large jellyfish. It was dead. 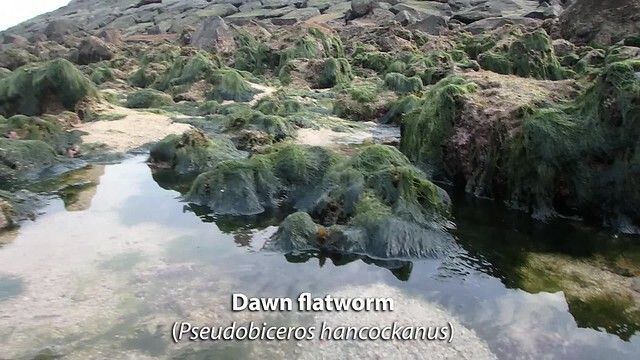 There were lots of Dawn flatworms on the shore today. They glide about with elegant ruffles of their body. 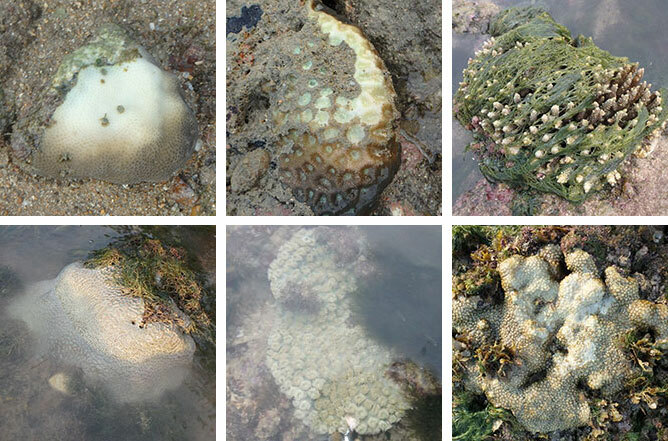 There were a variety of hard corals. 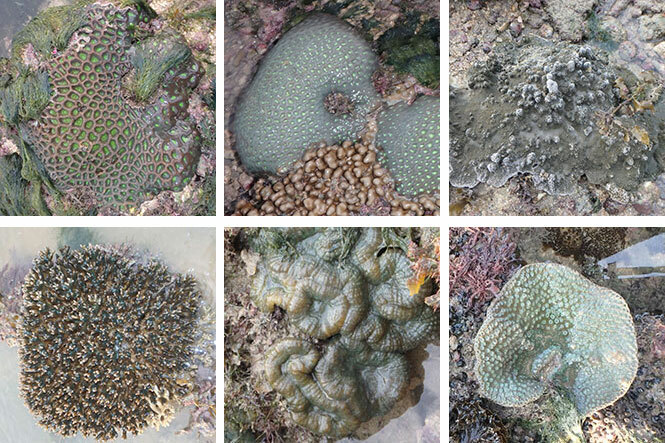 Most of the corals I saw were alright. A few small coral colonies had bleaching or dead portions. Some were very pale. 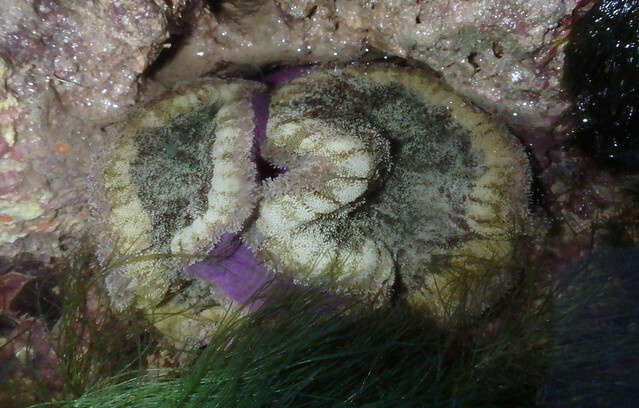 Some of the Sea mat zoanthids had pale portions. 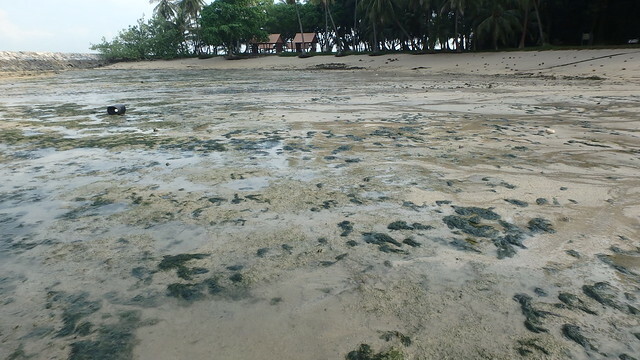 Some of the Boulder pore corals were badly bitten by fishes, but others were not. There were some leathery soft corals of various kinds. 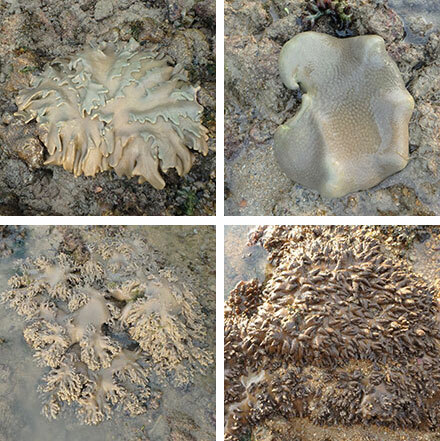 There were some very small leathery soft coral colonies, and some medium sized one of various kinds. 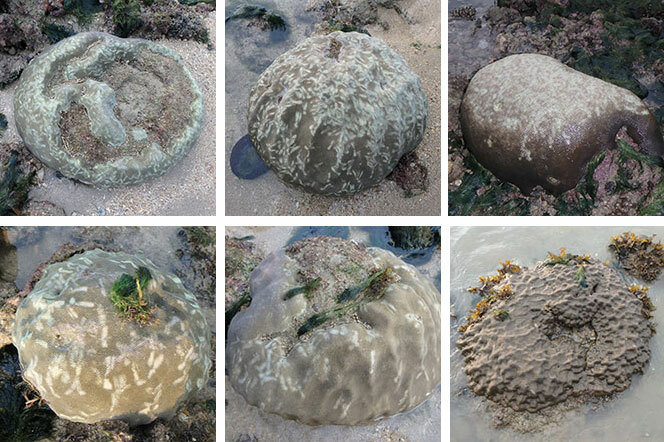 I saw a Pizza anemone! These animals are usually well hidden and I generally fail to spot them. There were many Giant carpet anemones, and some Haddon's carpet anemones. Abel found the Merten's carpet anemone which is not so common. 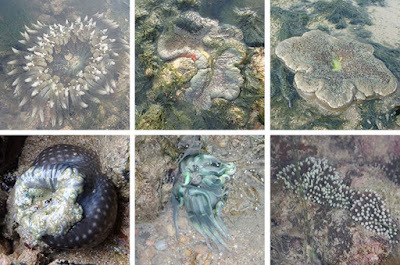 I also came across some Frilly anemones, one Smooth frilly anemone, one Wiggly reef star anemone. And many White-tipped corallimorphs. 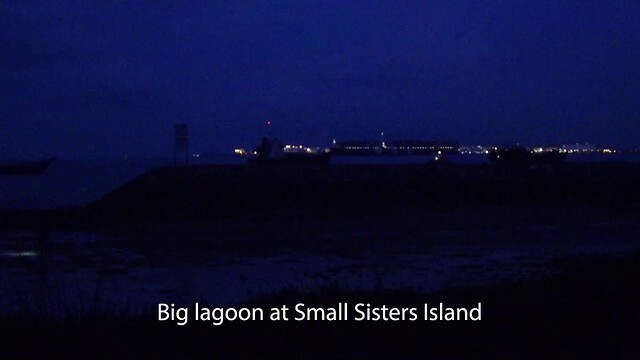 Like most of our southern islands, Small Sisters' Island has been reclaimed. 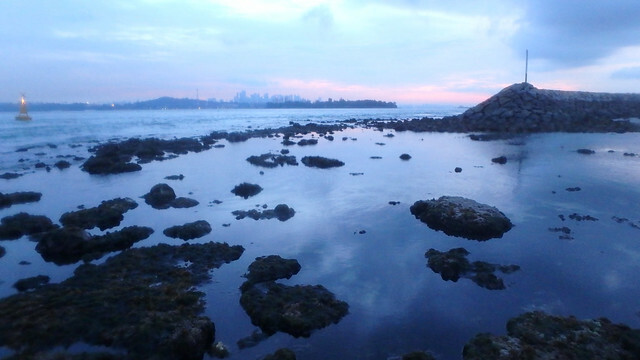 Seawalls were built on the reef and the ground raised to form the 'island' for recreational use. The tiny patch of coastal forest on a natural rocky shore is what the original island used to be. There was one patch of Tape seagrass in the small lagoon. Its leaves are cropped but not very short. Similar to what I saw on our last survey here in July 2017. 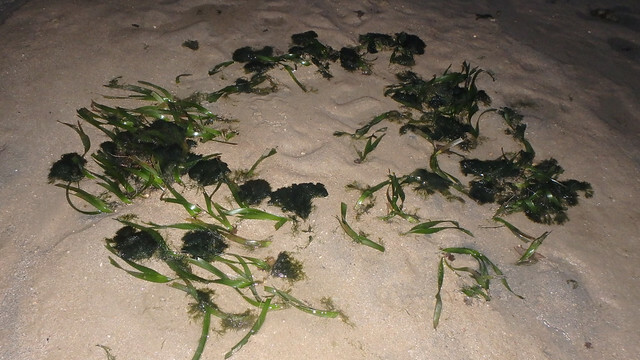 There were sprinkles of Spoon seagrass with tiny leaf blades in both lagoons. 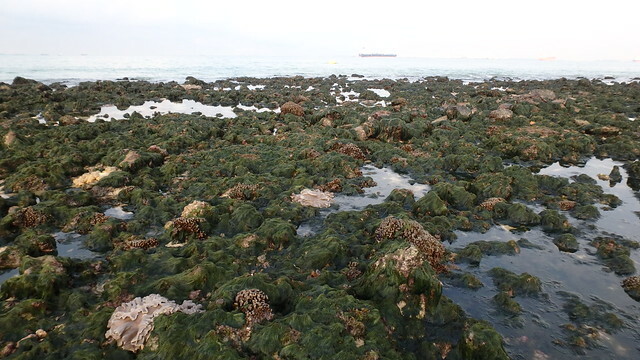 Hairy green seaweed covered much of the reef flats. 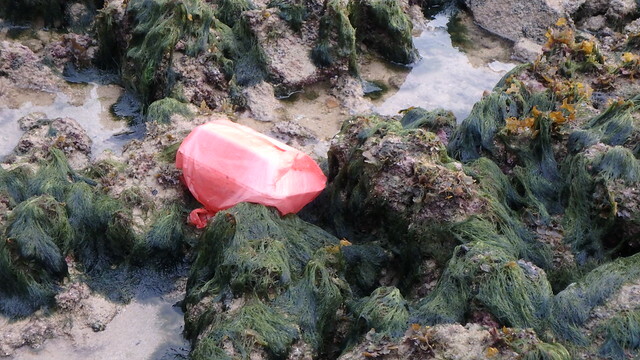 Sadly, various kinds of floating trash end up on the shore. Here's a sad video of the trash seen floating up on the eastern shore. But we didn't come across any nets or traps. 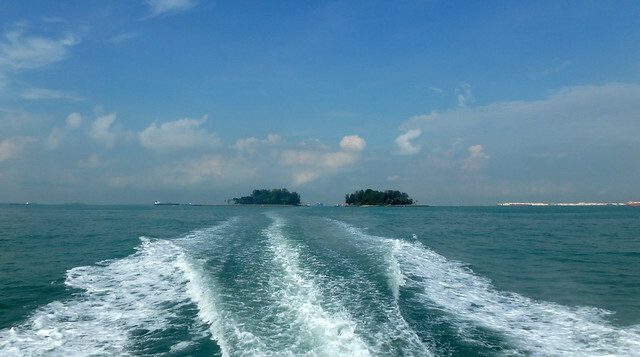 The two Sisters Islands are now designated as a Marine Park and managed by NParks. While Big Sister's Island is open to the public, Small Sister's Island is closed to visits and set aside for research. Our visit today was done with permission from NParks. 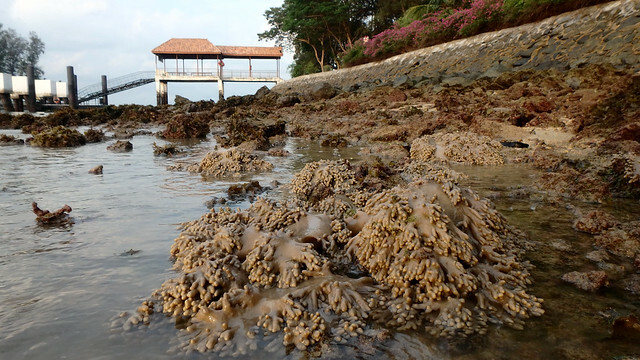 More about the Sisters' Islands Marine Park on the blog and facebook page. Heng Pei Yan flew the drone! Choo Yi Feng shared photos too. Others on this trip: Chay Hoon.